Gamescom 2017 is set to feature a PUBG tournament! Gamescom is set to feature a PUBG tournament! It is safe to say that Playerunknown's Battlegrounds (PUBG from now on) is becoming a worldwide phenomenon. 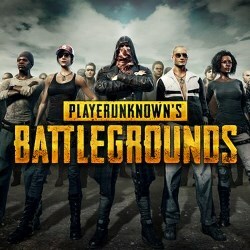 This battle royale multiplayer game has managed to captivate a huge audience all over the world. Even though we are talking about a relatively new game (it was released on 23rd of March this year), it already has a massive amount of active players. For instance, at the time of writing this article, there are more than half a million people in-game. Yup, that's right – half a million people are playing this game that's less than 4 months old. The high peak was a few days ago (on 6th of August to be more precise) when roughly 575,000 people played PUBG. To drive the story even further, PUBG is now actually holding the highest peak player count of any non-Valve game on Steam. Even though some giants such as Dota 2 and CS: GO are having higher numbers, it's still amazing to see such a huge success of a brand new game. Crazy, huh? With all that being said, it really comes as no surprise to see a huge interest in the eSports side of this game. Whether it's viable or not, we'll see in the following months. But, for now, the most important news is that ESL has actually scheduled a PUBG Invitational tournament during this years Gamescom in Cologne, Germany. Needless to say, it is going to be quite the spectacle with PUBG getting its first taste of eSports action. “From very early on we knew that the success of PUBG was reliant on the passion of its community. We want to celebrate this by inviting 80 of the top players from around the world to compete in the first offline invitational.” – Bluehole Inc. VP and Executive Producer, Chang Han Kim said in an interview. Since PUBG is not a MOBA or a typical FPS team-based game but an action packed (and player packed) Battle Royale arena, it's tricky to find good players that have the desire to compete on the world's stage. Luckily, ESL PUBG Invitational has managed to find a total of 80 world's best players that will show PUBG in its vivid colors at the grand stage in Cologne. Starting from August 3rd (a couple of days ago), all PUBG players are able to purchase in-game items that will count towards the prize money for ESL PUBG Invitational tournament. Rumor has it that the total prize pool will be around $350,000 but probably increased by the amount of money collected by the in-game item sale. The tournament itself is starting on 23rd of August and will last all the way to 26th. In addition to Solo matches, there will also be Duo, FP duo (first person duo) and team modes. Undoubtedly, we will see a ton of great matchups!